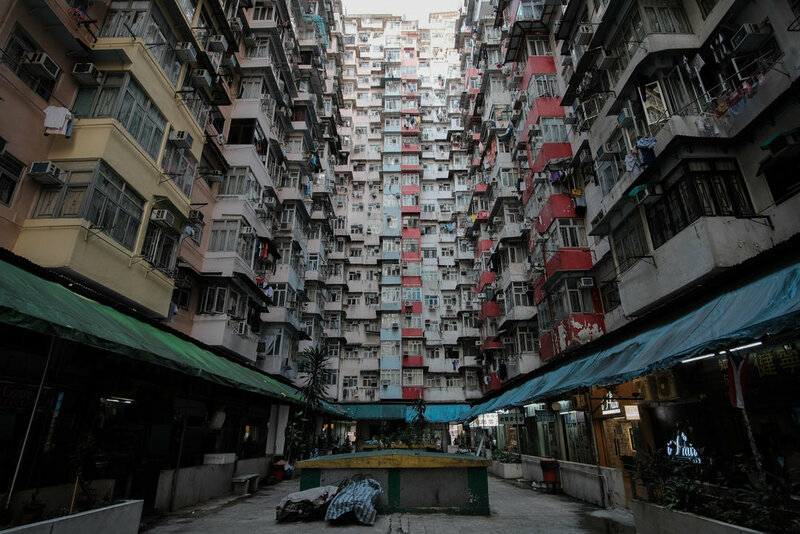 I've seen photographs on the web of some amazing high-density apartments in Hong Kong, but hadn't seen any truly iconic ones myself despite so many visits over the years. After some googling, and thanks to Peter Stewart's very helpful post, I found what I had been looking for and which had eluded me during so many visits to Hong Kong. 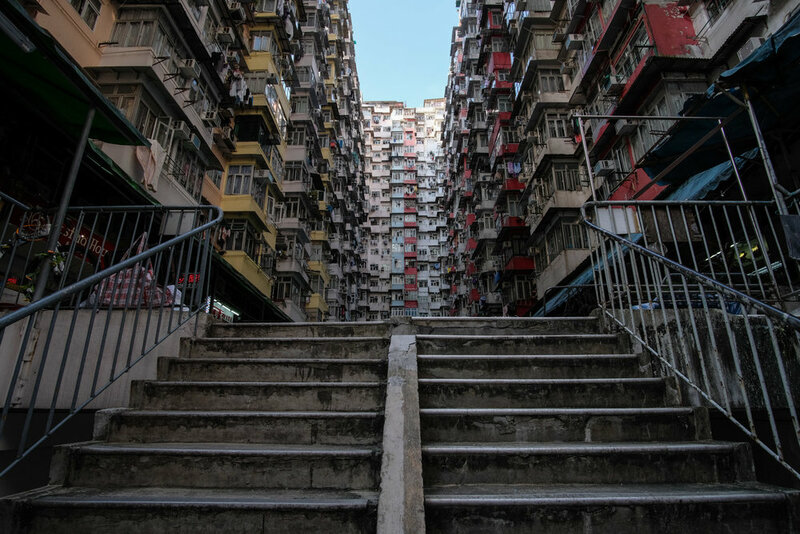 The Yick Cheong and Yick Fat buildings in Quarry Bay really are quite amazing. 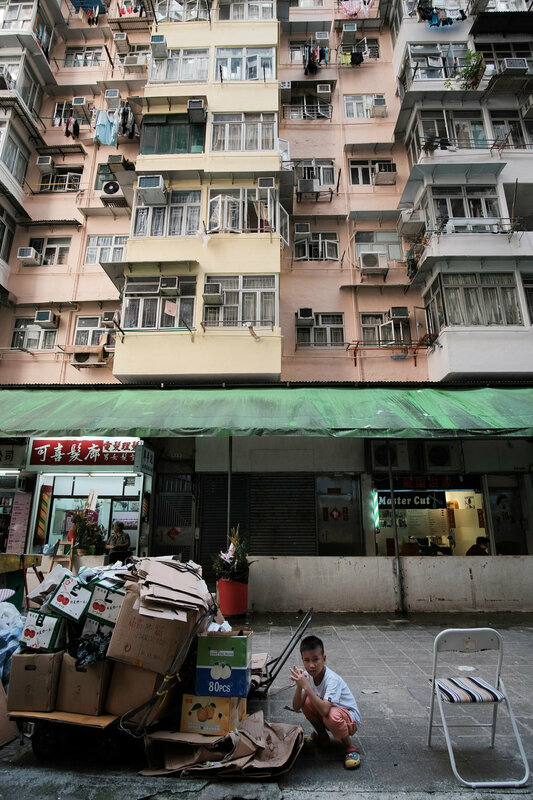 In a photograph looking skywards they appear like some dystopian vision of a near future, in which people are crammed at an unbelievable density into towering stacked concrete boxes. 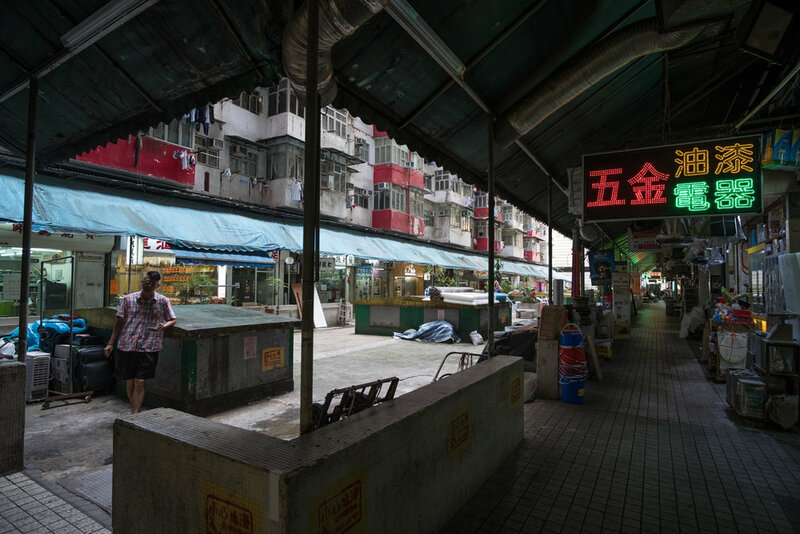 In contrast, at ground level ones gets a feeling of strong community with local shops and services for residents, and people going about their daily lives much like any others in which a community spirit exists. Anyway - a fascinating place. 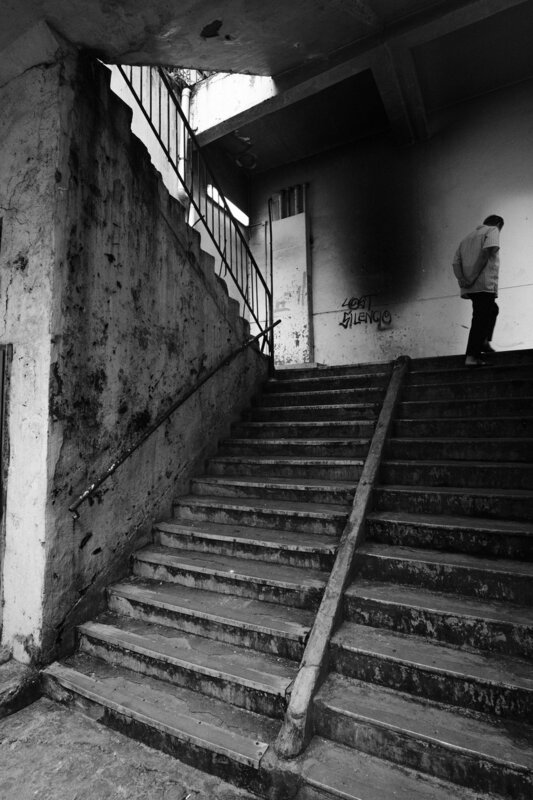 I was eventually asked by an older gentleman to move on but by then I'd taken enough photos anyway. Fun to play with the new Fuji X-T2 too!